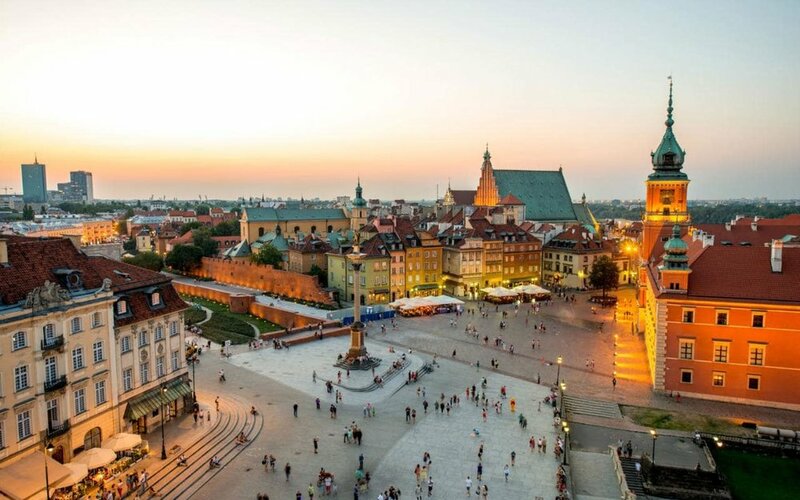 The Old Town market square dates back to the 13th century where it used to be the centre of Warsaw’s public life, hosting political speeches and executions. The buildings around it were wooden at the time, but what we can see nowadays dates back the 15th century, although it was almost completely destroyed during the two World Wars and rebuild afterwards. Today the market square offers a wide range of good restaurants and cocktail bars as well as street art and souvenirs. Once on the market square, you can also visit the Literature Museum and the Historical Museum of Warsaw. Warsaw’s Royal Castle, was reconstructed in the 1980s after World War II bombing. It used to serve as the residence of the royalty between the 16th and 18th centuries, and since the last century it has been functioning as a gallery. Located on the former site of the Warsaw Ghetto in the Muranów district, the museum celebrates the history and heritage of the Jewish community in Poland. Designed by Finnish architect Rainer Mahlamäki, the modern glass, copper and concrete building houses a 43,000 sq ft permanent exhibition space with multimedia displays including reconstructed parts of historical Jewish synagogues, an interactive 3D model of Kracow and its Jewish neighbourhood of Kazimierz and a Holocaust gallery. There is also a kosher restaurant and café on-site. The museum commemorates the 1944 Warsaw Uprising (in which over 150,000 civilians were killed). A multi-level interactive exhibition features everything from photographs, recordings and videos revealing everyday life before, during and after the uprising, and a replica of the Liberator B-24J bomber used by the Allies for relief flights. There is also a recreation of basement sewer tunnels used by the resistance to move around the city. You can watch a 3D movie of Warsaw destroyed by the uprising, and visit an observation tower at the top of the building with panoramic views of the city. It's one of the most eye opening, horrifying and incredible experiences of your life. 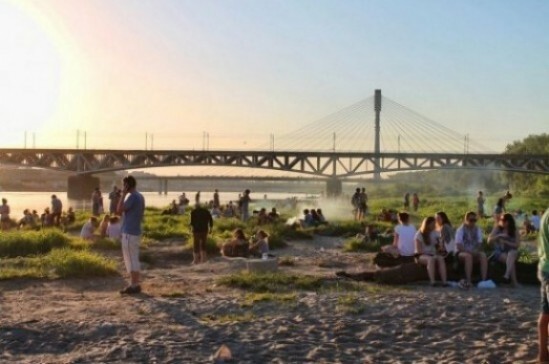 Warsaw encompasses over 20,000 hectares of parks and other green areas. 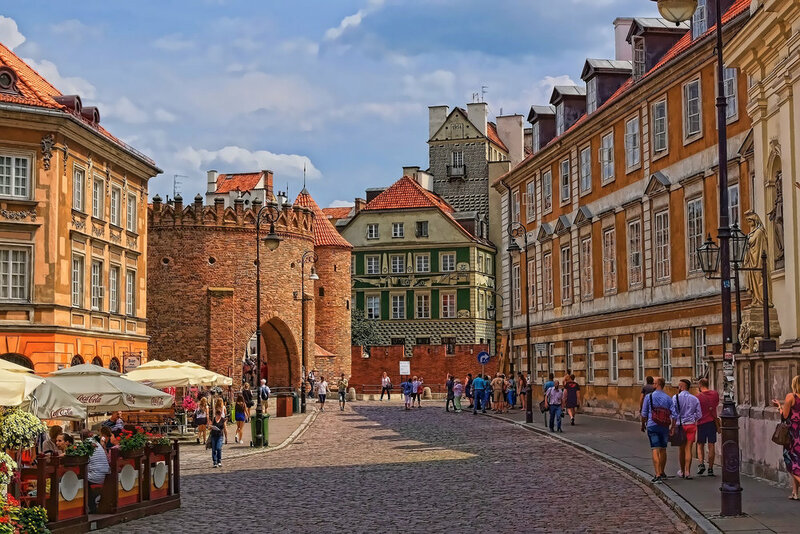 Some of them are uniquely historical, offering an insight into Poland’s monarchical past and its rich Baroque architecture, whilst others are dedicated to creating an opportunity to relax by hiking, bike riding, roller-skating or even skiing. If you want to get to know Warsaw away from the busy urban life and skyscrapers, visit the parks! The Royal Lazienki Park is the biggest and most beautiful park in the city, and one that bears the most significance and is so diverse. 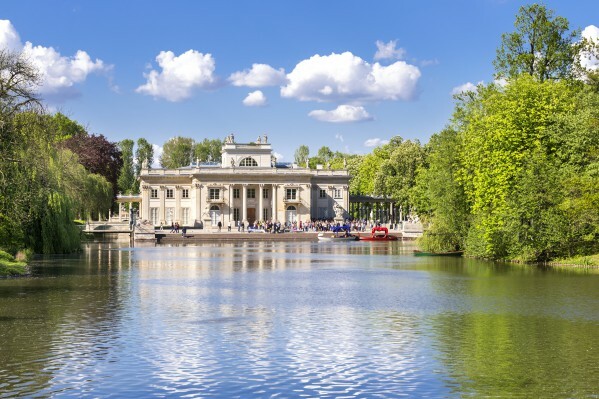 It was designed in the 17th century in the Baroque style and is home to a number of palaces (such as the Palace on the water), an amphitheater, and several orangeries. If you are visiting Warsaw in the summer, you may want to stop by to participate in the free-entrance Chopin music concert cycle entitled ‘Chopin’s concerts’. Also, each Saturday morning the park hosts free yoga and meditation classes. No building in Warsaw produces such divided opinions as the Palace of Culture and Science. Given as a ‘gift’ to the Polish capital by Stalin, the Palace was intended to be a building ‘for the people,’ but was despised by many Poles as the most ostentatious symbol of Russian ruling. As the tallest building in Warsaw, it dominated the city’s skyline for decades, and nowadays provides a striking visual comparison between historical and modern Poland – sitting in between increasing numbers of sleek, silver skyscrapers. 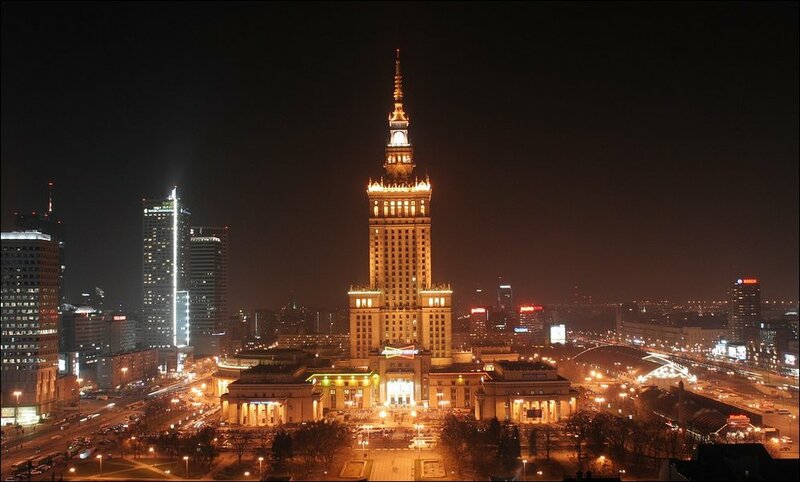 Containing theaters, conference rooms and Warsaw’s highest viewing platform, the Palace provides visitors with a unique chance to experience Stalin’s visualizations of the city. If you are visiting the Palace then you must go to the top to see the city panorama. 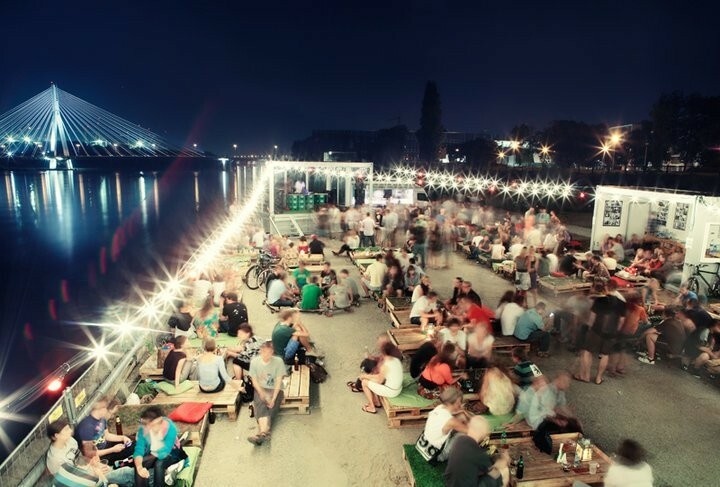 In recent years the river bank has become the heart of Warsaw’s summer nightlife, attracting crowds of tourists and locals. During the day it’s a perfect spot for cycling, skateboarding and simply relaxing on the grass by the water. The adjacent district of Powiśle on the left side of the river is also worth exploring, as it offers many great restaurants, bars and shops. The park has been a popular sight for visitors and locals since its opening several years ago. The display comes to life throughout the summer months, providing a cooling, open space to sit during the daytime. Summer evenings are when the display comes into its prime, the fountains are lit up in an enticing display of colors and lights for an audience that comes from across the city to watch. To check times please visit their webpage. Sadly there is no English version but you can figure it out (or use google translate :) The best ones are on Friday and Saturday at 9.30pm. If you click on 'Lokalizacja' you will see where it's being held.